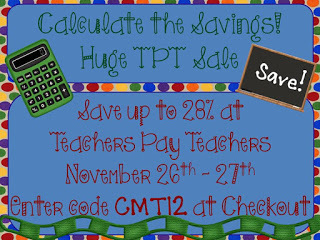 Don’t miss out on the BIG sale at teacherspayteachers.com! Many sellers are discounting their stores at up to 20% off and then TPT takes another 10% off of that — save up to 28%! Click on the link below the picture to save at my TPT store and check out all the sales! Happy Thanksgiving!